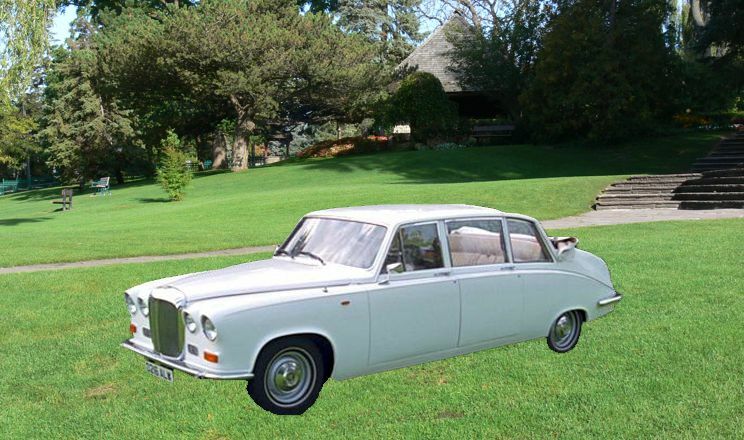 1986 Royal Daimler Limousine commonly known as the "Queen Mother’s" preferred choice of car Bride’s with extravagant dresses. 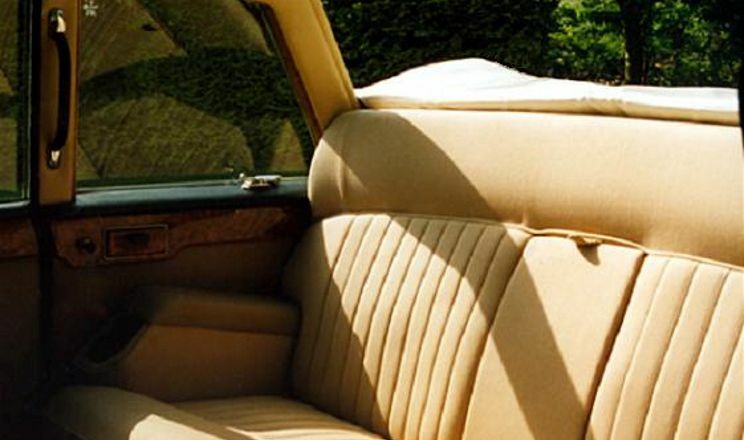 Commonly known as the "Queen Mother’s" preferred choice of car, our convertible Royal Daimler DS420 Limousine offers extensive legroom and always makes a popular choice for Bride’s with extravagant dresses, veils or trains. The roomy, air conditioned, interior offers privacy with its glass partition and elegance with its walnut wood capping. Graduation’s, Prom's and New Year's Eve reservations may be subject to an additional 30% booking fee. Please inquire for details.